At the Curious House we specialise in celebrating and cherishing the old, the original, the historic and the reclaimed. Although there are some fantastic paints, papers and wall – coverings out there at the moment sometimes its more effective to strip back and reveal a historic piece. Interior design doesn’t have to be about finding colour schemes and adding new pieces, sometimes stripping a 100 year old door sympathetically can create a more beautiful effect than any paint can. Stairs do not have to be carpeted and poled, they can be left to reveal a historic tread and original paint. 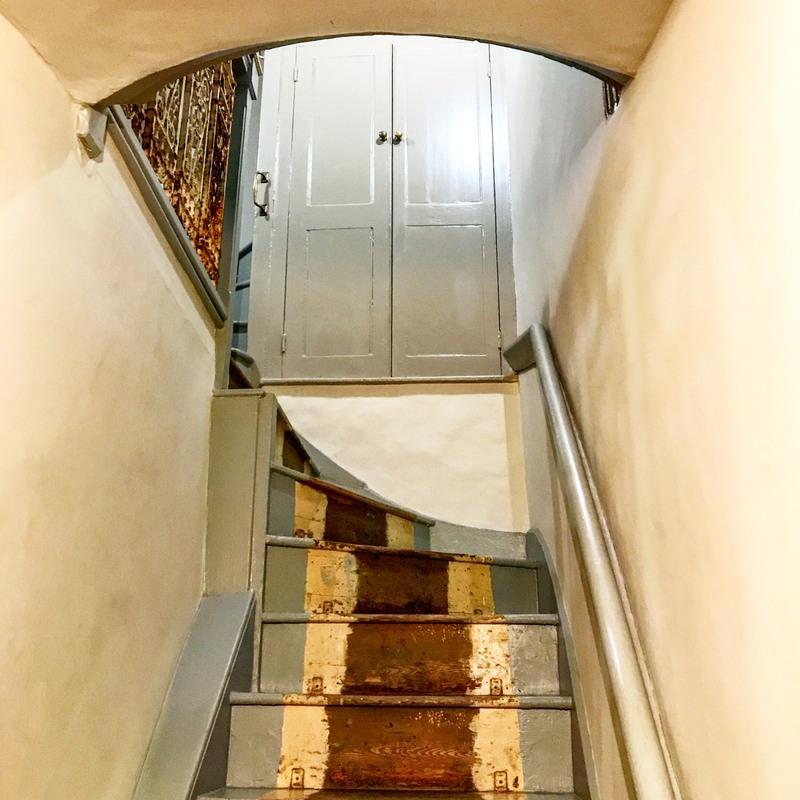 Here at the Curious House we mix and match – we used a new paint to frame an original staircase – sympathetically framing and documenting a period feature. Previous PostPrevious Pattern can be your friend!